Free the music that is within you! Hi, I enjoy teaching music and working with beginners to advanced students, both children and adults. Music is a source of great joy. I've taught music for more than 20 years and specialize in Creativity Development through music. Suzanne Grosvenor is a recording artist and plays Home Concerts. Her website is http://suzannegrosvenor.com. Her most recent CD was released in 2012 of all original improvisational music.Her YouTube videos of improvisational piano and nature photography can be seen at https://www.youtube.com/watch?v=ZoZqnxqV9gE on her Face the Music channel https://www.youtube.com/channel/UCGLRsXCzF23oibytHEVHBxg. Her music can be heard on Pandora.com radio, iTunes.com, and Spotify. Suzanne began composing music at age 8 and performed for a standing-room-only crowd of over 600 people at age 8. This was the start of more than 300 classical solo concert performances. She was a piano soloist in concert with a youth orchestra at age 10, at 17 and 18. She placed 2nd in the Phoenix Young Musicians Concerto Competition. She was awarded a scholarship to the San Francisco Conservatory of Music and received full scholarships to Arizona State University where she studied music. Suzanne began performing professionally at age 23 and has been a professional musician ever since, whether for jazz venues, classical, country, new age, rock, blues, bluegrass or meditative music. Her first solo piano album of original music was a hit on alternative radio stations in the 1980s. She is a composer who composed soundtracks for award winning short films and documentaries some of which aired on PBS television, the Disney channel and NPR radio. She played violin, cello and percussion in orchestras, clarinet in band, accompanied the school choir and sang in church while growing up, studied the saxophone, drums, guitar, synthesizers and keyboards. 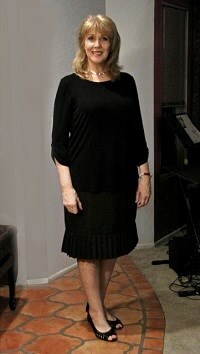 She was a core band leader with the Tucson Jazz Society and played keyboards with the Don Latarski jazz fusion quintet. She has many years of experience as a professional musician, recording artist, composer, arranger and session recording musician. She played the Tucson Bluegrass Festival on fiddle and washtub bass and led an original jazz quartet at the first Prima Vera Jazz Festival. 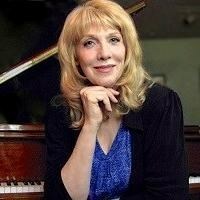 Besides teaching classical piano repertoire, technique and music theory, Suzanne teaches songwriting, playing by ear, composition and improvisation. She specializes in Creativity Development for pianists, as well as for vocalists and other instrumentalists. She taught adjunct music classes at the University of Oregon and was piano coach and band rehearsal director for the Up With People Show for 2 years. "Music is meant to be fun and life-enhancing," Suzanne says. "Music helps us in getting to know ourselves, in developing our passion and creativity. Music nurtures us emotionally and inspires us to relate with our spiritual side. I believe music is essential for healthy human life as it develops brain functioning, multifaceted awareness and personal inner strength. Playing music develops dexterity, coordination and self confidence. "Music allows us to express things that we cannot say through words. Music helps us in developing our sense of our wholeness, higher potential and self awareness. With music we become more well rounded individuals. "I have seen children with learning disabilities develop into confident, happy individuals through studying music. I have seen teens and adults develop whole new levels confidence and freedom of creativity through learning music." Understanding how music works; understanding music from the inside out. Learning to improvise in the styles of your favorite composers. Composing, Arranging, Songwriting: Hearing and writing your own music. Playing from a lead sheet. Understanding chords, scales, modes. Writing your own chord charts. Pop, rock, blues, boogie, country, soul music, New Orleans piano, stride piano, new age relaxation and therapeutic music. Music Notation. Learn to notate music accurately. Accompanying yourself, another vocalist or instrumentalist. Discovering a deeper sense of who you are while developing the music in you. Therapeutic music: What makes music healing? Let the music out of you! Suzanne wrote a Top 40 hit called "You Can't Stop Her" in her 20s. With her band 20/20, was the opening act for David Byrne and the Talking Heads. Her album Lantern in the Window made it to the Top 30 Hotlists of alternative music radio. Appeared on a CD alongside David Lanz, Eric Tingstad, George Winston and William Ackerman. Was a touring musician for 5 years. Performed solo piano in concert at Sun Valley Music Camp, Idaho. Presented a solo concert at Beall Hall at the University of Oregon. Does improvisational Home Piano Concerts. 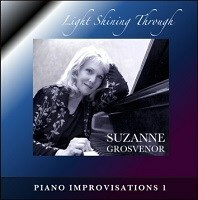 Request Lessons with Suzanne Grosvenor today!